Below you can view all the highrises for sale in the The Realm subdivision located in Atlanta Georgia. Listings in The Realm are updated daily from data we receive from the Atlanta multiple listing service. To learn more about any of these highrises or to receive custom notifications when a new property is listed for sale in The Realm, give us a call at 404-998-4063. Walk To Lenox, Phipps Plaza, The W, And More! MLS#6536602. John Bailey Realty, Inc..
Email Me For Full List Of Upgrades! ! MLS#6534044. Keller Williams Rlty, First Atlanta. Shopping, Dining & Night Life All Within Walking Distance. MLS#6536043. Berkshire Hathaway Homeservices Georgia Properties. 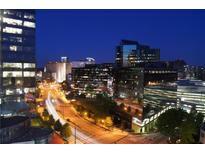 Prime Location In The Heart Of Buckhead W/Close Proximity To Restaurants, Shopping, Marta & Interstates. MLS#6121484. Tbre, Inc..
Realm Is Located In The Heart Of The Buckhead Loop And Offers Pool, Fitness, Business Center, 24-Hour Concierge & 2 X Covered/Secured Parking. Steps To Shopping, Dining & Nightlife. MLS#6534206. Quicksilver Realty, Inc.. Walk To Lenox, Phipps Plaza, The W, And Much More! MLS#6530005. Coldwell Banker Residential Brokerage. Amenities Include 24-Hour Concierge, Salt Water Pool, Two-Story Gym & More. MLS#6528128. Palmerhouse Properties. 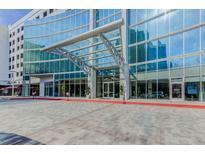 Can't Beat The Location - Come See Why This Condo Should Be Yours! MLS#6528219. Point Honors And Associates, Realtors. Walk To Lenox, Phipps Plaza, The W, And More! MLS#6528297. John Bailey Realty, Inc.. Walk To Lenox, Phipps Plaza, The W, And Much More! MLS#6524282. John Bailey Realty, Inc.. Walking Distance To The Finest Shopping, Dining, Nightlife & Marta! MLS#6521862. Keller Williams Rlty, First Atlanta. 1St Class Dining And Nightlife! 2 Deeded Parking Spaces. MLS#6521241. Realty Associates Of Atlanta, Llc.. Walking Distance To Marta, Shopping Center, Restaurants. Great Location. MLS#6518627. Chapman Hall Professionals. Unrivaled Amenities Include: 24/7 Concierge, Salt Water Pool, 2 Level Gym, Firepit And Grill, 2 Clubrooms, Business Center, Etc. MLS#6518883. Atlanta Fine Homes Sothebys International. If You Are In The Market For A Condo, This Unit Is A Must See. MLS#6517294. Jason Lapene Real Estate. Take Advantage Of Fine Shopping, Dining And Night Life All Within Close Walking Distance. Priced To Sell! MLS#6516235. Keller Williams Rlty, First Atlanta. First-Class Amenities: 24Hr Concierge, Salt Water Pool, Sundeck, Firepit And Grill, 2-Level Gym, 2 Clubrooms, Business Center,Etc. MLS#6511905. John Bailey Realty, Inc.. Surrounded By Atlanta'S Finest Dining, Entertainment And Shopping Venues! Prime Location! MLS#6510675. Mwamba Realty Atlanta, Llc..
One Deeded Covered And Secure Parking Space. MLS#6509821. William E. Johnson. Shopping + Dining + Entertainment Right At Your Door. MLS#6509731. Engel & Volkers Atlanta. Building Hoa Includes High Speed Internet, 24 Hr Concierge, Salt Water Pool, Sundeck W/Firepit & Grill, 2 Level Gym & More! MLS#6505768. Coldwell Banker Residential Brokerage. Walking Distance To Lenox And Phipps Plaza, Fantastic Restaurants, Marta Station And Much More! MLS#6501665. Joygle Real Estate. Easy Commute To I-85 And Ga-400. Unit Has 1 Assigned Parking. MLS#6502772. Keller Williams Rlty, First Atlanta. Storage Unit Available For Purchase (Optional). MLS#6128817. Coldwell Banker Residential Brokerage. Shopping And Restaurants Within Walking Distance. MLS#6128464. Keller Williams Realty Cityside.